Can’t make it to New Orleans during Mardi Gras? Don’t worry! I just found the next best thing – Mardi Gras World. I can sum up this place with one word – WOW! 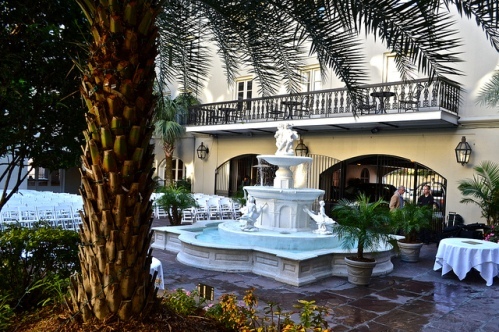 Sarah, from New Orleans CVB, made this attraction one of her top recommendations. She made it sound so good that I had to go. I wasn’t sure about what it was going to be like but I surely wasn’t expecting a humongous stadium-sized warehouse devoted to making Mardi Gras art works and floats. For some reason I always thought that every organization that participates in it made its own float. So this turned out to be a huge surprise and a great educational trip. 1. This is not just an exhibit hall that someone invented to attract visitors. This is a full-on working factory. All sorts of artists work here year round. 2. The only time Mardi Gras World is closed is – obviously – during Mardi Gras. 3. 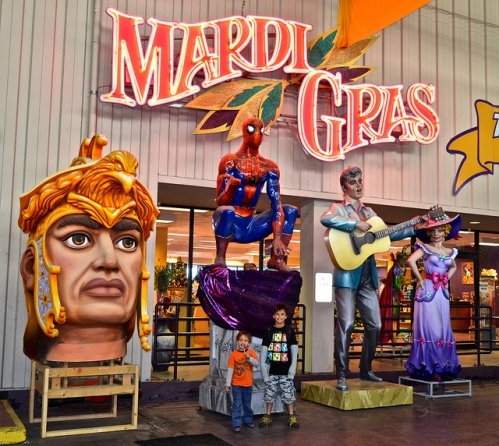 Mardi Gras World allows you to see authentic Mardi Gras costumes and floats and learn how they are created. 4. The entrance fee includes the tour and a short video of how Mardi Gras started and how Mardi Gras World began. 5. The whole tour is about 45 minutes long and you are welcome to stay as long as you want after it is over. 6. There is a free Mardi Gras shuttle that picks you up at a pick up station and brings you back to your hotel. INSIDER TIP: You can tour the place on your own, but you really won’t get the history and fun facts of it. So wait for the guided tours. 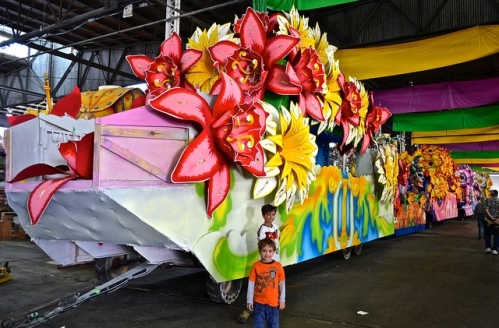 • More than 80% of the floats that go down New Orleans’ streets during the Carnival season are designed and built here. • It all begun in 1947 by float designer and builder Blaine Kern. • Blaine was an out of work artist who started as a helper with the floats, but people loved his work so much that each year he got more requests. • In 1984, Mardi Gras World was opened as a tourist attraction to give visitors a behind-the-scenes look at float building. 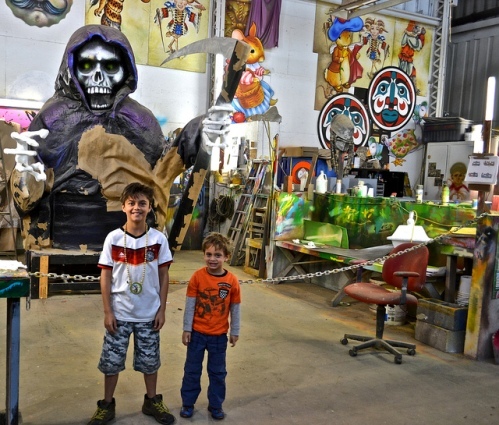 • They create floats for over 40 parades from all over the world. • The origins of Mardi Gras can be traced back to Rome. • The tradition was then transferred to medieval Europe where during the 17th and 18th centuries Venice and the French House of the Bourbons were the most famous groups of people who celebrated it. • Then the traditional revelry of “Boeuf Gras,” or fatted calf was introduced to the French colonies. • On 1699, French-Canadian explorer Jean Baptiste Le Moyne Sieur de Bienville arrived south of New Orleans, and named it “Pointe du Mardi Gras” because he and his crew arrived on the eve of the holiday. • In 1702 the settlement of Fort Louis de la Mobile celebrated America’s very first Mardi Gras on North American grounds. • In 1704, Mobile established a secret society (Masque de la Mobile), similar to those that form the current Mardi Gras krewes. • In 1710, the “Boeuf Gras Society” was formed and paraded from 1711 through 1861. • By the 1730s, Mardi Gras was celebrated openly in New Orleans. • In the early 1740s, Louisiana’s governor, the Marquis de Vaudreuil, established elegant society balls, which became the model for the New Orleans Mardi Gras balls of today. • The earliest reference to Mardi Gras “Carnival” appears in a 1781 report to the Spanish colonial governing body. • In 1856, six young Mobile natives formed the Mistick Krewe of Comus, invoking John Milton’s hero Comus to represent their organization. • Each of these designers’ work was brought to life by Parisian paper-mache’ artist Georges Soulie’, who for 40 years was responsible for creating all of Carnival’s floats and outfits. • 1872 was the year that a group of businessmen invented a King of Carnival, Rex, to preside over the first daytime parade. They did this as a way to honor the visiting Russian Grand Duke Alexis Romanoff. • In 1783, floats began to be constructed entirely in New Orleans instead of France. • In 1875, Governor Warmoth signed the “Mardi Gras Act,” making Fat Tuesday a legal holiday in Louisiana. • Popular practices during Mardi Gras include: wearing masks and costumes, overturning social conventions, dancing, sports competitions, parades and debauchery. • Mardi Gras is also called Fat Tuesday, a name given to the Carnival celebrations, beginning on or after the Epiphany and culminating on the day before Ash Wednesday. • Mardi Gras is French for “Fat Tuesday”; it was a day when ancient Romans had a last chance to eat rich, fatty foods before fasting of the Lenten season started. • Celebrations are concentrated for about two weeks before and through Fat Tuesday. • Usually there is one major parade each day (weather permitting) but there might also be several smaller parades in one day. • The largest and most elaborate parades take place the last five days. • The parades in New Orleans are organized by Carnival krewes. • Krewe float riders toss throws to the crowds. The most common throws are strings of colorful plastic beads, doubloons (aluminum or wooden dollar-sized coins usually impressed with a krewe logo), decorated plastic throw cups, and small inexpensive toys. Hours: 7 days a week, from 9:30am to 5:30pm. The last tour begins at 4:30pm.